Download AnyTrans to Start Your Cloud Contents Management Experience! Welcome to AnyTrans Online Guide. Here you can find all detailed tutorials about how to manage cloud contents, transfer contents between cloud & computer, sync contents among multiple clouds or schedule automatic sync, as well as sharing contents with others. If you still have questions after reading this guide, please do not hesitate to contact our Support Team, and you will receive reply in 24 hours. 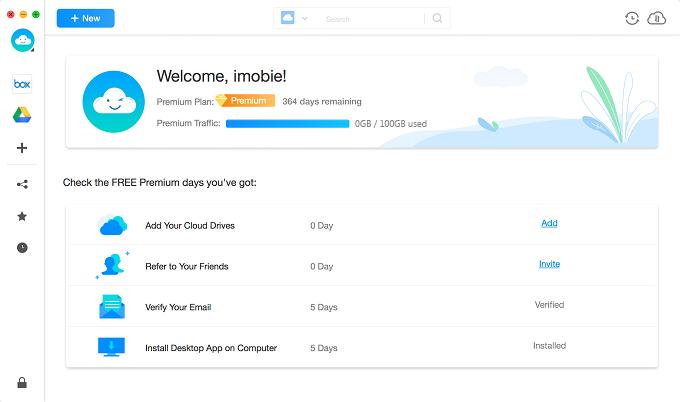 Buy Now * Enjoy cloud management and support. 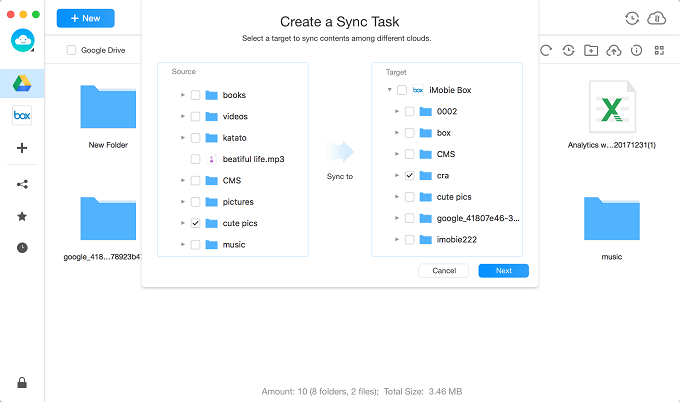 Cloud helps save a lot of your important documents, music, photos, videos, etc. To store these cherished files for study or business, many people may have two and more cloud drives. But how to sync content from cloud (Source) to cloud (Target) is tricky. One-way Cumulative Sync feature is to sync files or folders from cloud (Source) to different cloud (Target) in an easy way. If the Target has the same files or folders as the Source, it will rename the duplicated files or folders and then sync them to the Target. Please refer to this detailed guide to make good use of AnyTrans. If you have registered an AnyTrans account, please sign in with your account name and password. If you don’t have one, please click “Create yours now” to sign up a free account. 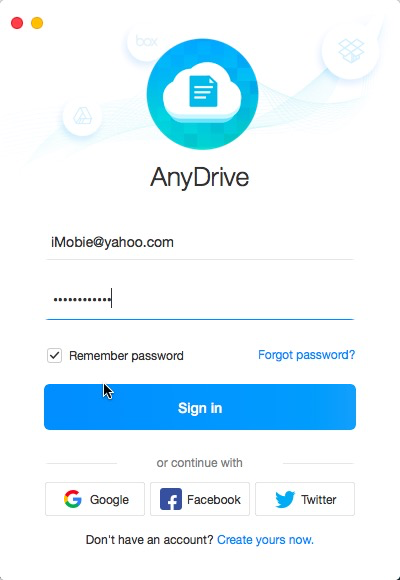 Once you sign in successfully, you will see the main interface of AnyTrans. After signing in your account, please click the icon of the source on the left side of the interface. And then, please click button. If you have not added any cloud drive before, please follow the instructions to add cloud at first. Please add at least two clouds so that you can sync content from the Source to Target. Please choose the files or folders you want to sync in the source. 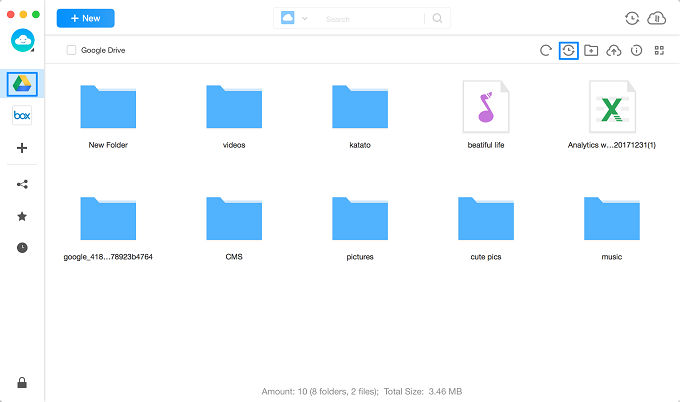 If you click the dropdown button, you will view all files and folders on the cloud. And then, please choose the folder in the Target. After clicking button, it will pop out “My Sync Task” interface. AnyTrans currently provides three channels to sync data – Premium Channel, Online Channel and Offline Channel. And then choose One-way Cumulative Sync mode. 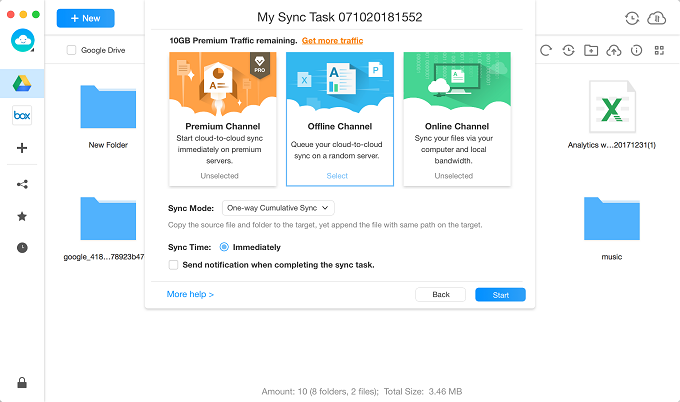 You can select Immediately or Schedule option to launch the sync task. 1. Premium Channel starts cloud-to-cloud sync immediately on premium servers. 2. Online Channel syncs your files via your computer and local bandwidth. 3. Offline Channel queues your cloud-to-cloud sync on a random server. 4. By clicking “Schedule” option, you can set the time to start the sync task, including Customized, Daily, Weekly or Monthly. 5. If you check “Send notification when completing the sync task” option, you will receive the email about the sync result when the sync task completes. After clicking button, AnyTrans will start the sync task automatically. 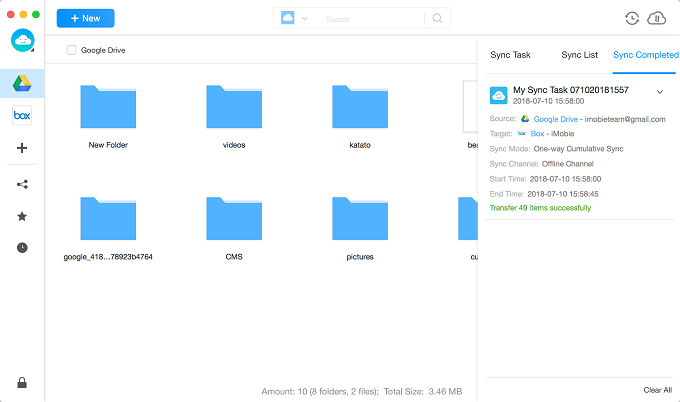 The syncing time may vary based on the size of the files. Please wait for a moment. You can check the sync process and result by clicking button next to button. It will show you Sync Task, Sync List and Sync Completed options. If you scheduled the sync tasks already but failed to launch them, you can check them with Sync Task option. To know the process of the current sync task, please click Sync List option. Clicking Sync Completed option is to check the completed sync tasks.